Me and my Wife really enjoyed our day out yesterday. 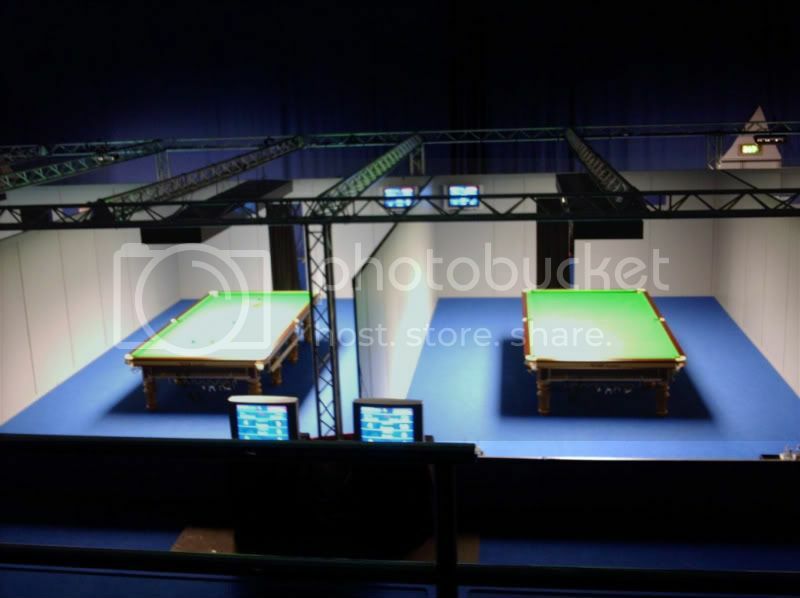 when we entered the room the atmosphere hit us it was a right good buzz, it was starting to get packed it was full up in the middle and right hand side where davis was and matthew stevens, we ended up left of center. Just before the match started a voice came over on the sound system "ladies and gentleman please welcome the players and officials of the 2010 betfred world championship qualifiers" at this stage they all came into their cubicles through a black curtain and the atmospere was electric everyone clapping. 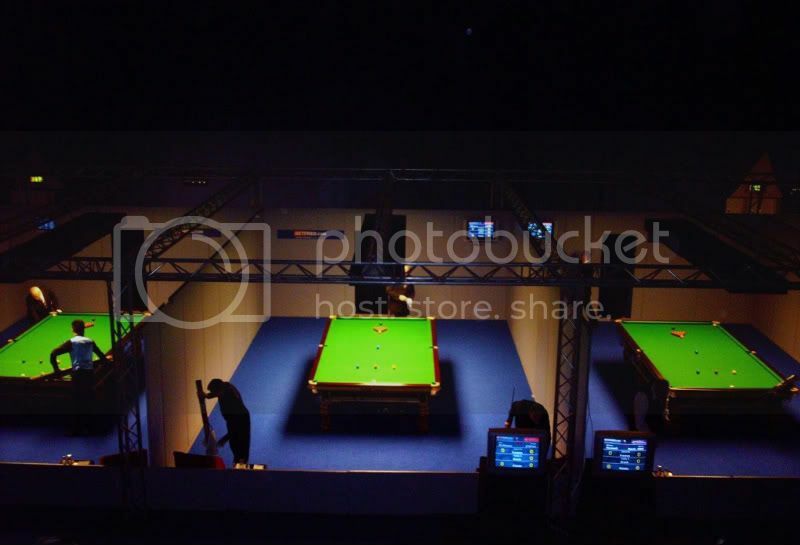 I was very suprised as mcmanus game was the quickest game to finish, and wenbo first frame was the last first frame to finish for the first half hour niether wenbo or lawlar managed to pot a ball. 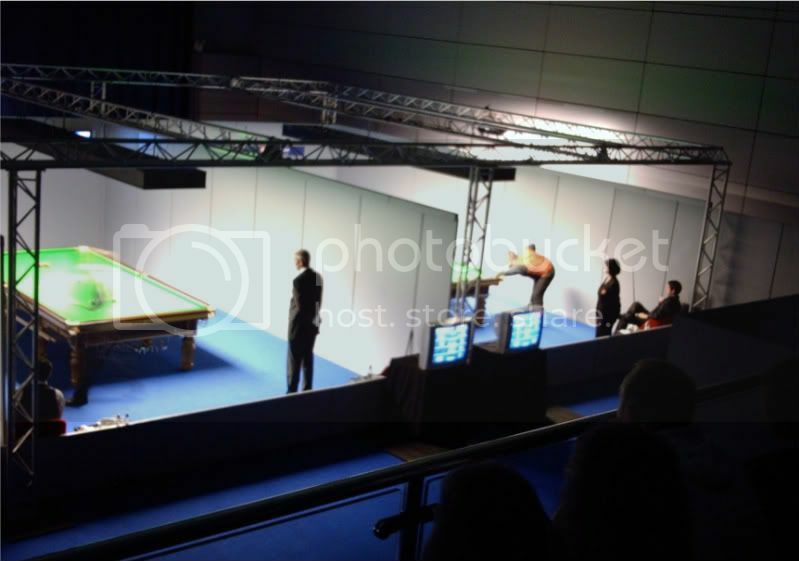 i can remember thinking at that stage "I bet wild and everyone on sf think the live scoring on wenbo match had frozen"
Another highlight to the scoring system was i could see micala tabb having problems with the scoring on stevens match she climbed over the barrier and walked down a few cubicles to see if the other were working (which they was) so stevens match stopped for a bit while they sorted it out. during the dinner break we went to the cafe and think we saw jessica ennis sat at a table with loads of girls round her chillin and eating. just before the next session started i got autographs by the following in order.. I didn't manage to get any pics with or of the players as they were all in a rush. 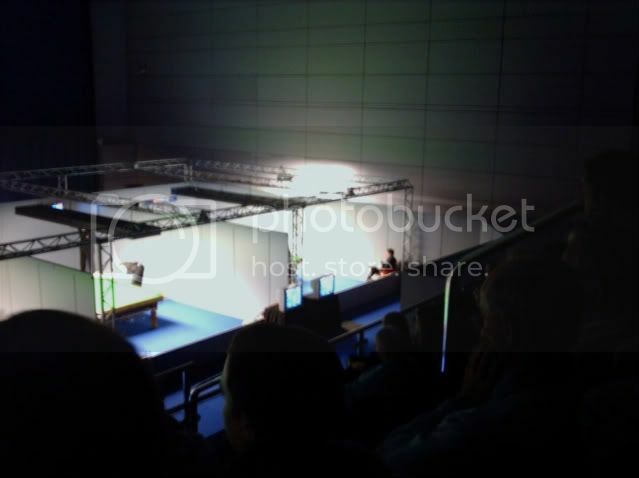 back in secound seesion git same seats one row back, first match to finish was Wenbo, then it was steve davis half the spectator left so we moved right and we could see mcmanus on our left and mark davis on our right. when fergal best macmanus some more left so we moved right again to just left of markdavis so could just see half of stevens table. 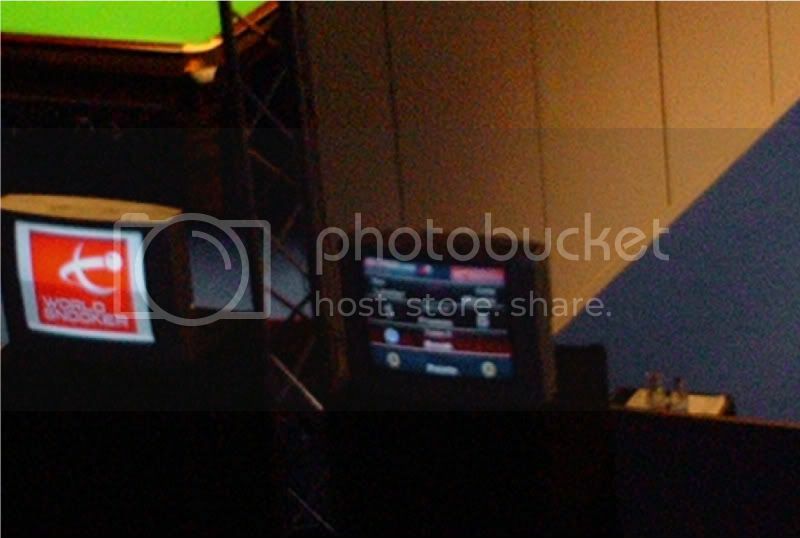 dave harold was boring life out of us and we couldn't get any closer to stevens match. so we left at that stage. I am real happy with the venue and the whole setup and recommend it to anyone. will post pic in a while. Great stuff Rocket, glad your wife and you enjoyed it. Also I am sure it was good meeting the players in ‘real life’. 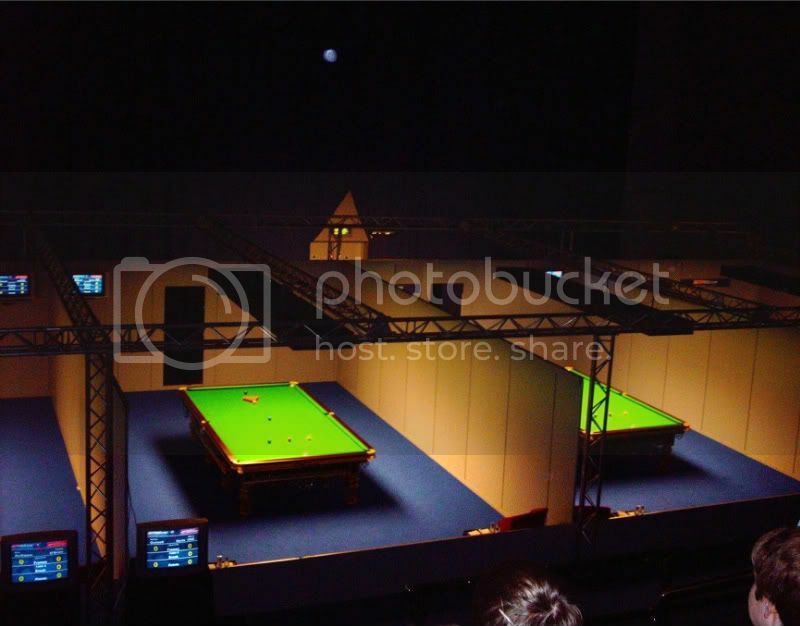 Good report, what did you make of Steve Davis’ play? Do you have to sit where they tell you or is it sit where you want? Alex0paul wrote: Do you have to sit where they tell you or is it sit where you want? Great pics there Rocket, you had a good view for sure. Looked like a good crowd there as well, any pics of you enjoying the action? i havent got any pics of myself. Last edited by Rocket_ron on 09 Mar 2010, edited 1 time in total. I am worried now that I won't get in because I haven't booked a ticket. Alex0paul wrote: I am worried now that I won't get in because I haven't booked a ticket. I would think you will be fine, and I will say I reserved 2 if any probs, chill. tueday may not be as bad as sunday as people will be at work. are you traveling far? I can testify to two of those. I've met Michaela Tabb and she's so patient with everybody, despite being followed by horny blokes talking bullocks all the time. 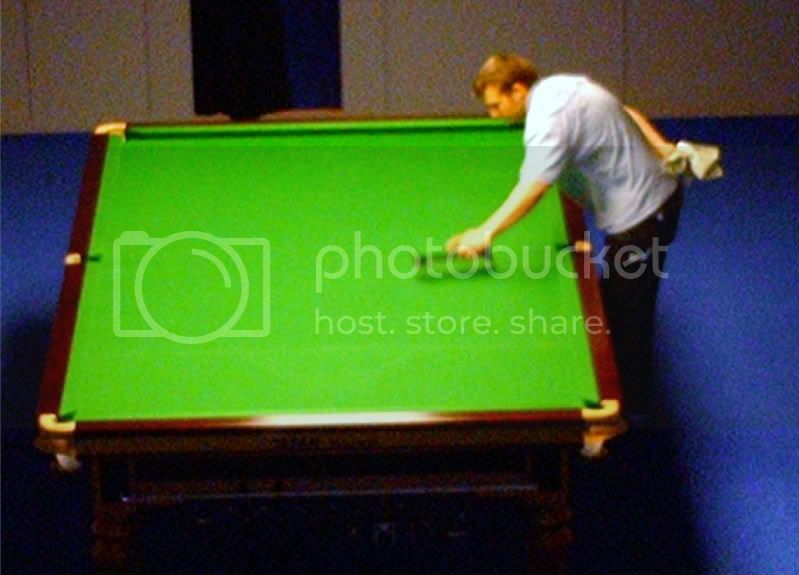 I watched Matthew Stevens lose one time, and he still stood outside for ages and signed autographs. Though I've seen him play, I've never met Angles. So you've done something I haven't. Glad to hear he is a top bloke. Good report Rocket-Ron. Comes across as though you enjoyed yourself. Good stuff. JohnFromLondonTown wrote: Good report Rocket-Ron. Comes across as though you enjoyed yourself. Good stuff. Watching it live is addictive, isn't it? I would like to take this opportunity to thank all the members that have shown interest in my experiance. jesus i just noticed this thread now.....ive been concentrating mainly on the tournament last few days so not seen much else. good pics it looks cool there i got to go next year fingers cross. wildJONESEYE wrote: jesus i just noticed this thread now.....ive been concentrating mainly on the tournament last few days so not seen much else. Are you saying one of the sport's leading referees doesn't know how to spell her how name?